A new philosophy of photography that goes beyond humanist concepts to consider imaging practices from which the human is absent, as both subject and agent. Today, in the age of CCTV, drones, medical body scans, and satellite images, photography is increasingly decoupled from human agency and human vision. 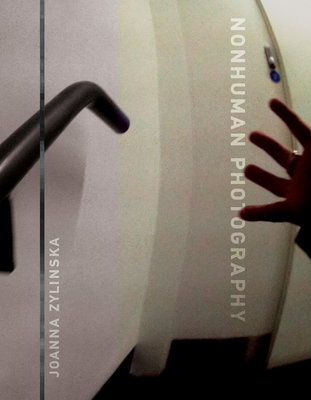 In Nonhuman Photography, Joanna Zylinska offers a new philosophy of photography, going beyond the human-centric view to consider imaging practices from which the human is absent. Zylinska argues further that even those images produced by humans, whether artists or amateurs, entail a nonhuman, mechanical element--that is, they involve the execution of technical and cultural algorithms that shape our image-making devices as well as our viewing practices. At the same time, she notes, photography is increasingly mobilized to document the precariousness of the human habitat and tasked with helping us imagine a better tomorrow. With its conjoined human-nonhuman agency and vision, Zylinska claims, photography functions as both a form of control and a life-shaping force. Zylinska explores the potential of photography for developing new modes of seeing and imagining, and presents images from her own photographic project, Active Perceptual Systems. She also examines the challenges posed by digitization to established notions of art, culture, and the media. In connecting biological extinction and technical obsolescence, and discussing the parallels between photography and fossilization, she proposes to understand photography as a light-induced process of fossilization across media and across time scales.